CAMILLE. Once upon a time, there was a wicked boy… And I loved him. In high school, Bastien was my boyfriend, my protector, my tormentor, my everything…until the summer when I learned the true nature of his evil. Ten years later, I’m finally putting the pieces of my life back together, getting ready for my wedding…but my past is catching up with me. Bastien vowed to destroy me, and this time he won’t rest until he’s finished the job. BASTIEN. All of my life I’ve fought my cruel urges. But I’ve learned what dark forces shaped me,and the truth has set me free. There’s a reason why I’m a monster, and now that I know the truth, I’ll destroy everyone who betrayed me. 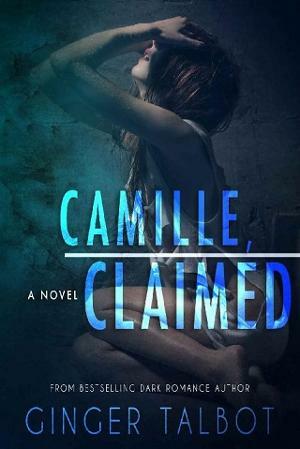 First on the list is Camille, the girl who broke my black, evil heart. I’m going finish what I started ten years ago. There are others who would take her from me if they could, because now that I’ve claimed her, she’s became a pawn in an ancient game. Let them come after her. I’ll kill them all, one by one. She’s mine. Mine to punish, mine to torment, mine to break into pieces so small she’ll never be whole again.